Air Filters – Blocksom & Co.
Our air filters are made from a scientific combination of 100% natural fibers which are spun into an efficient, high loft, interlocking maze, and bonded for added rigidity. 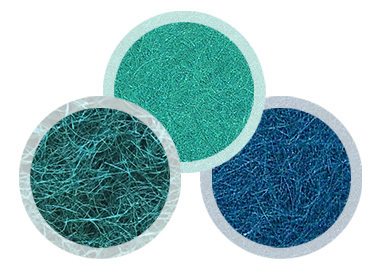 Paratex® filters consist of thousands of inter-locking fibers that form a labyrinth media to entrap dust and dirt. Our unique high air flow design allows the heating and cooling energy to treat your air, rather than restrict air flow – this results in efficient use of your energy dollars, and SAVES YOU MONEY. 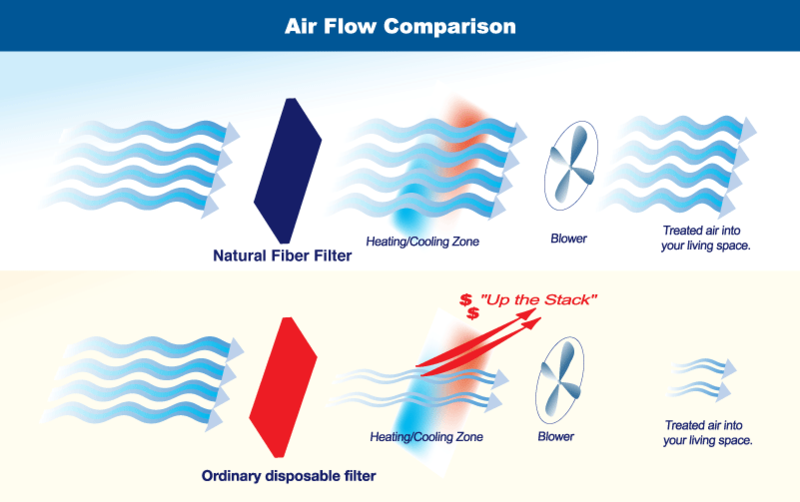 Ordinary pleated, polyester, fiberglass and electrostatic treated filters quickly become blocked and yield poor airflow through the heating and cooling zone. This WASTES ENERGY that should be treating your air, and WASTES YOUR MONEY. Blocksom filters hold more dirt than ordinary filters. The high dust holding capability of Paratex® means that the filters keep on working 30 times longer. You save both the number of filters used and the labor cost to replace them. The filters can be easily cleaned by vacuuming, rinsing with water or dousing in an ordinary detergent solution. The highly durable fiber in our filters assures an extremely long life – they can be used over & over again! Our filters are rigid and self-supporting. Frames are unnecessary so up to 25% more filter area is gained. Paratex® filters can also be sized to the exact filter opening dimensions, assuring the optimum edge seal. Place Natural Fiber Filter directly under old filter as shown above. Two filters should be touching. Align edges flush on top or bottom and on left or right side. Cut along lines of old filter using scissors or a razor knife to ensure a fit that is right for your furnace. When the sizes match, the new filter is ready for installation.